I have mentioned briefly my admiration of the nutty Ruth Gordon in Rosemary's Baby, but my love for this Polanski classic extends far beyond the stylings of Minnie Castevet. Personally, this film has everything that I love in a movie -- the fantastically fragile Mia Farrow, charming devil-worshipping neighbors, a fabulous mid-sixties wardrobe and hairstyle (courtesy of Vidal Sassoon), and Ralph Bellamy (ohh, Ralph Bellamy!). 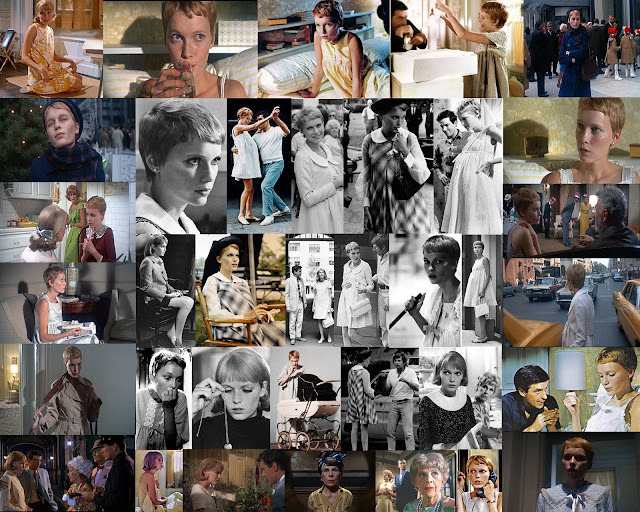 Rosemary's Baby is the story of a young wide-eyed housewife Rosemary Woodhouse and her older actor husband Guy. After the couple moves into the Bramford, an apartment house with a long histories of gruesome deaths and questionable tenants, and they meet their seemingly innocent neighbors, Guy's acting career suddenly and inexplicably takes off. After this, Guy becomes eager to have a child with Rosemary, despite his previous rejections on the matter. After becoming pregnant, Rosemary finds that Guy ignores her and can barely look her in the eye; this hurts Rosemary, who has had a very painful pregnancy thus far and barely has strength to leave her apartment anymore. As the months carry on, Rosemary begins to suspect something sinister is occuring as the people around her are cursed blind or struck dead, and her neighbors the Castevets take an unusual interest in her pregnancy. The film is a true horror movie classic -- not in the blood-spurting, girl-runs-in-slow-motion sort of way that scary movies are made nowadays. Rosemary's Baby succeeds in being a horror classic because of what it doesn't show us. We the audience are right there with Rosemary trying to figure out if there's a plot against her and her baby, or if she's just suffering the prenatal crazies. We learn slowly along the way what is going on, Polanski reveals just enough that we are never bored and are almost always in suspense. The film, which made both Mia Farrow and Roman Polanski international stars, has been plagued with rumors of a curse for years. 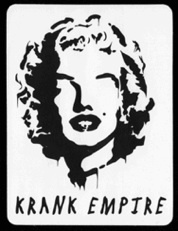 Some cite the fact that Farrow's involvement in the film brought a swift end to her marriage to Frank Sinatra (he served her divorce papers on the set while she was filming the scene where she breaks down in the kitchen during her dinner party). Others cite the long theory that Rosemary's Baby is somehow tied to the Manson family murders and the death of John Lennon.